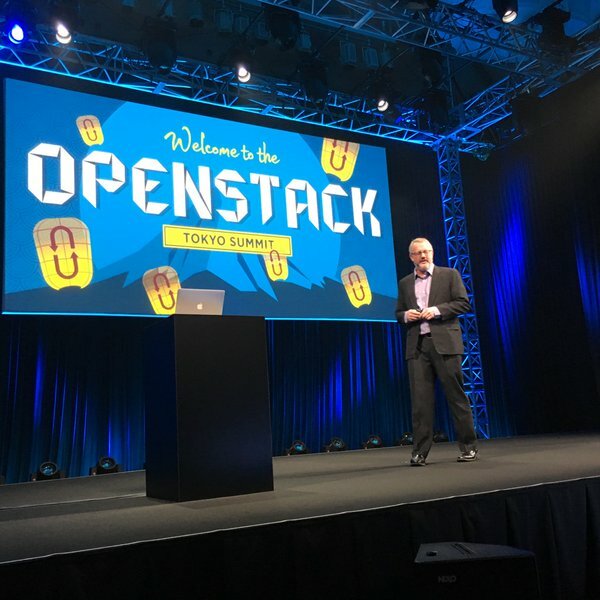 For OpenStack, 2015 has been the year of growing pains, judging from this week’s OpenStack Summit Tokyo conference. Interest in OpenStack continues to grow on a daily basis, particularly in the enterprise. But the community is also finding itself having to make tough decisions about its future. “In the past, we sort of strategically thought OpenStack would dominate the world, and create rainbows and unicorns, [but] the reality of it is that users make a lot of choices, and we have to strategically think about how we fit into that,” OpenStack board member Rob Hirschfeld told The New Stack founder Alex Williams in a recorded interview at the conference this week. Krishnan is executive Vice President of Cloud Operations at Canonical. With Williams, Krishnan spoke to how containers can simplify application deployment, highlighting the need for enterprise-level solutions to be simple to use regardless of the use case presented. “There is probably seven times more Ubuntu sitting under Docker than any other OS,” Krishnan boasted. Krishnan noted that as more technology is added to OpenStack, the more OpenStack gets adopted into the enterprise. There has been an uptake in mainstream enterprise-level adoption of OpenStack. The main concerns of organizations considering shifting to an OpenStack solution require services which can function in production, with stability and scaling to easily handle and balance traffic loads. A focus on simplicity and ease of use is the direction which Krishnan sees OpenStack technology heading into the future. Canonical offers a service called Autopilot, which brings level of self-administration to OpenStack cloud. Autopilot anchors around metal as a service [MaaS], turning bare metal into a functioning node. This means that applications can ask for a bare metal node where they would have otherwise required a VM. Autopilot also includes service monitoring in Canonical’s JuJu, which can allow a user’s application to then deploy on the chosen target cloud. Canonical is seeing a shift toward running microservices in Docker, said Ubuntu Cloud product manager and strategist, Dustin Kirkland, in his talk with Williams. Citing that orchestrating and monitoring containers at tremendous scale presents a challenge which still has yet to be fully solved, he pointed at how the simplicity of Docker’s “Build, Run, Deploy” capability should resonate with software developers today. Kirkland noted that the containers orchestration layer is where interesting problems remain when working with microservices in containers. One thorny issue is the choice of using IPv4 vs. IPv6, as networking with containers involves a massive number of endpoints. “IPv6: Get there as fast as you can. You are going to need it when supporting lots of containers” — Dustin Kirkland, Canonical. To help address this, Canonical has created the Fan overlay, an IPv4 bandaid to give users time to migrate to IPv6. The Canonical Fan overlay has a unique way of enabling any two containers to talk with any other containers over the network. It creates a fan bridge at kernel level which handles IP traffic from one container to another. With Fan overlay, the container endpoint address and host kernels handle wrapping and unwrapping, without the need for distributed databases or consensus protocol. In this talk, IBM cloud engineer Daniel Bateman and IBM senior technical staff member Ralph Bateman described how IBM has been hard at work developing a set of platform services for IBM Bluemix, including services that work with Docker containers and fully-defined microservices. IBM recently delivered a revamped VM service based on certain standards and open technologies such as OpenStack. This allows for customers to run a native OpenStack cloud for their own applications, exposed through IBM Bluemix. IBM continues to make improvements to its registry, offering clients a multitenant model to move into a true high availability setting. Bluemix also allows for customers to create their own namespace for their own organizations, so they can push and pull their images between regions without having to change their entire namespace. Midokura came about as a network virtualization tool to help those running public clouds in the Japan market. At the time of Midokura’s development, cloud servers were often running over legacy physical networks rather than automated systems. Compute needs were already virtualized, while at the time provisioning networking took weeks to provision, noted Adam Johnson, a founder of Midokura. To solve this issue, the Midokura team built the software while working as engineers for Amazon Web Services’ load balancing services and for the DynamoDB database service. “We took what we learned from building distributed systems at Amazon, and applied them to software-defined networking, or to be specific, for network virtualization overlays,” Johnson said. Rob Hirschfeld, who in addition to his OpenStack board duties is also Founder and CEO at RackN, spoke with Williams about the future of OpenStack, including how the board hopes to define new projects moving forward. Hirschfeld notes that the technical community has decided to let more projects in, and this brings new issues to grapple with. Letting more projects into OpenStack will create a wider ecosystem and have greater vendor impact, as the community will have to embrace other platforms in the cloud-based ecosystem, and realize users have choices within cloud platforms. Hirschfeld stresses that the OpenStack community must have the maturity to handle this, because it is OpenStack’s users bringing ideas to the platform for developers to work on and address. Hirschfeld hopes that the OpenStack board will continue to embrace to community as the Big Tent moves forward (“Big Tent” is OpenStack’s shorthand for its ecosystem governance) , with further clarification on OpenStack’s role in the cloud. Hirschfeld hopes for more solidification on whether OpenStack is a developer community first, or a user community consuming cloud-based solutions. Finally, Hirschfeld noted that OpenStack developers and community members have to come to understand that some cloud software is just not in the OpenStack project space, and that clients and brands can still use OpenStack services alongside these other offerings. IBM, and Docker are sponsors of The New Stack.